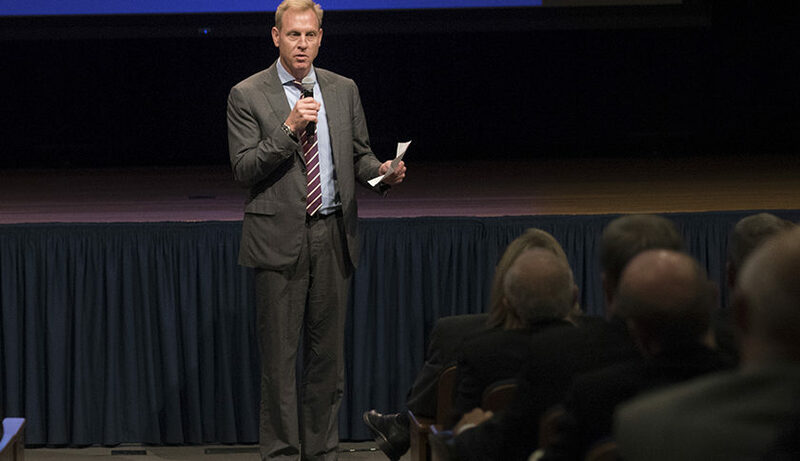 WASHINGTON — The Pentagon is moving at a good clip to establish a U.S. Space Command and a Space Development Agency in early 2019, said Deputy Defense Secretary Patrick Shanahan. When the new Congress convenes next year and takes up the Space Force proposal, DoD will be prepared to defend it, Shanahan said. The likely new chairman of the House Armed Services Committee, Rep. Adam Smith, D-Wash., has said he will oppose creating a new service and generally wants the Pentagon to focus on fiscal discipline. He said there are “degrees of cost” when it comes to establishing a military branch. “How much cost do we want to put into the support of the Space Force? The mission of the Space Force? The concentration of the Space Force?” Each one of those areas could be made more or less costly. Wilson stood by her estimate on Thursday in an interview with Defense One’s Marcus Weisgerber. She said her numbers included all costs for a “fully fledged stand alone department and a unified command.” She said she could not predict how Congress will come down on this. “I think there will be a proposal from the president in concert with his budget. I think there will be a debate and discussion with the Congress.” For the time being, she added, the Air Force will “stay focused” on space security and on fielding capabilities.